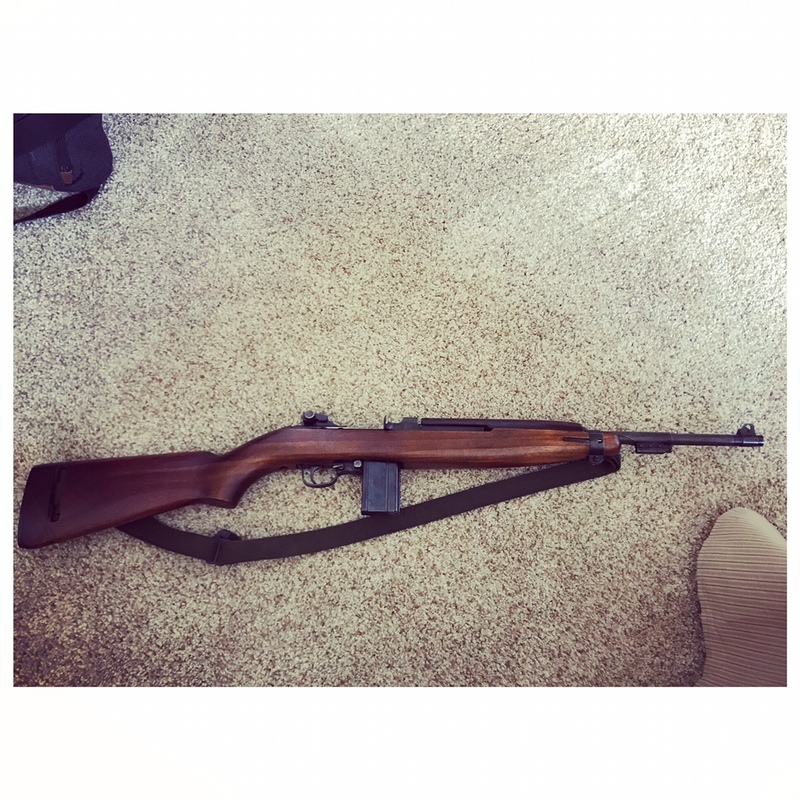 Finally got my 2-44 ibm M1Carbine. Can't wait to put some rounds through it. Re: Finally got my 2-44 ibm M1Carbine. Can't wait to put some rounds through it. Congrats on a nice pick-up. You can't go wrong with a carbine, I don't think they will ever be out of favor. Classic lines, iconic. Recognized and intuitively "liked" even by non-gun people. And they can still do what they were designed for-- a handy personal defense weapon if ever there was one. I love mine. Very nice indeed - I've always thought that having an IBM would be cool - glad you got one. that is a very nice and clean one. picked up a WINCHESTER carbine at the CMP NORTH STORE way, way back in the day. they are fun to shoot. Ghoulardi wrote: that is a very nice and clean one. picked up a WINCHESTER carbine at the CMP NORTH STORE way, way back in the day. they are fun to shoot. Top of my milsurp list on the fun scale.